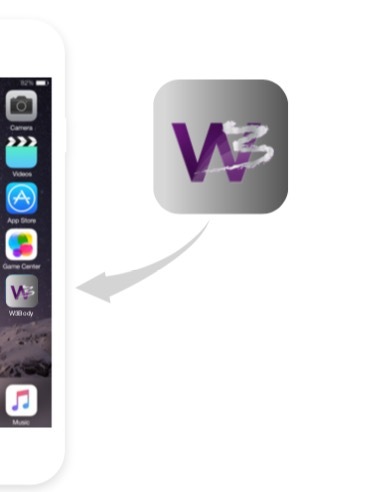 The W3Body APP for members. We are so excited to bring this mobile/tech feature to our members to help them stay engaged and ultimately, achieve the results they are looking for. We strongly feel at W3 that this new app will help our members by keeping them engaged with the W3 community, keeping them up to date about what is going on at the club, offering challenges and other activities to keep them motivated, and incentivizing them through our NEW rewards program. The W3 rewards program is a very exciting new feature for us at Women’s Workout & Wellness. Members who have the app will be able to earn points through various activities: coming to the gym for a workout, sponsoring a friend, taking a challenge, setting a goal, achieving that goal, enrolling in training, and more! They can redeem their accrued points at any time for various prizes, such as membership months free, a W3 t-shirt, team functional training, small group personal training, one on one personal training and lots more! It is all tracked on the app, and guess what? The app AND rewards program are FREE for our members! Check group fitness class schedules, scan into the gym, join challenges, post to social media, receive daily deals, club updates, push notifications, rewards, prizes, record your workouts, refer friends, sync your nutrition log, connect your FitBit or other fitness device, chat with other members, set goals and MORE… All on the NEW W3Body APP! Did we mention the app is FREE and only accessible to MEMBERS?